The bridge connects the 41st and 42nd floors of the Petronas Twin Towers (the bridge is 2 stories tall). 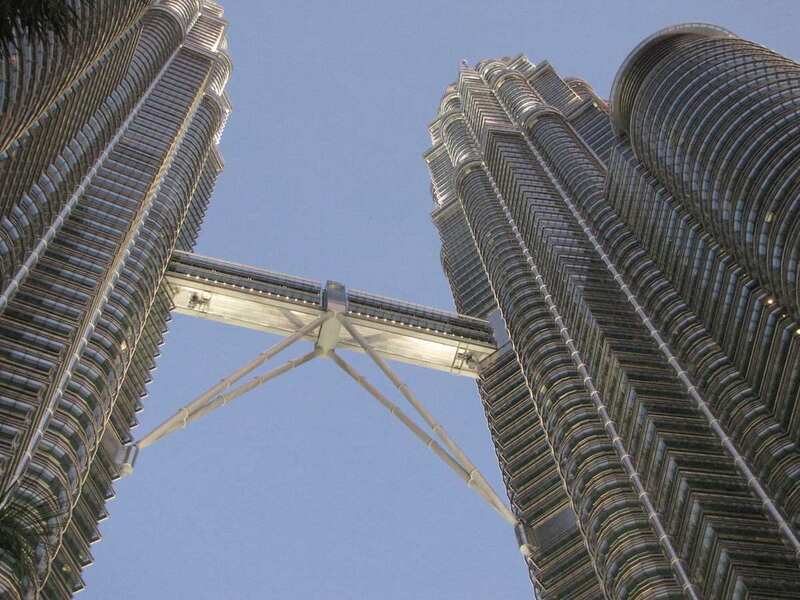 The Petronas Towers in Kuala Lumpur, Malaysia were the tallest buildings in the world for six years, until Taipei 101 was completed in 2004. Photos copyright John Hunter. Petronas Towers Bridge is available for use as creative commons attribution. Only photos noted as available as creative commons attribution may be used without permission (in the manner described only), other photos may not be used without permission.